It’s a term that gets a lot off buzz. But what does it actually mean? This week’s blog is here to set the record straight. render the contract fundamentally different from its original intended character. 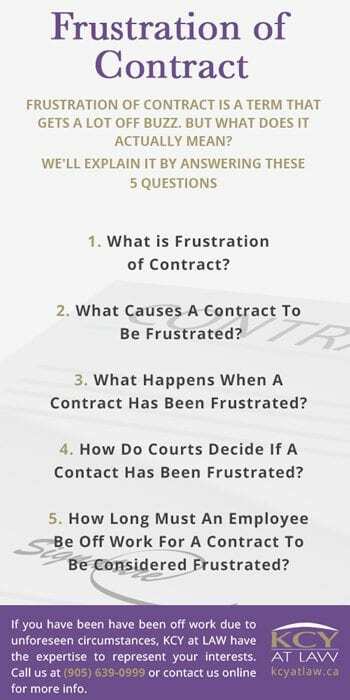 What Causes A Contract To Be Frustrated? illness of either contractual party. For an employer to end an employment arrangement due to frustration of contract, the circumstances must have been unforeseeable and occurred through no fault of either party to the contract. Furthermore, the burden of proof to demonstrate that a contract has been frustrated rests with the employer. Illness of either employer or employee is the most common way in which a contract becomes frustrated. Frustrating a contract depends on the nature and expected length of illness as well as the prospect of recovery. Frustration of contract only applies to situations involving a permanent disability. Temporary disabilities must be accommodated to the point of undue hardship (in accordance with human rights laws) or employees must be terminated according to normal Employment Standards Act (ESA) requirements. What Happens When A Contract Has Been Frustrated? When a contract has been frustrated it can be terminated without liability to either party. This means that neither party is entitled to damages. However, the employer is still obligated to pay the employee their minimum entitlements under the ESA (such as termination and severance pay). How Do Courts Decide If A Contact Has Been Frustrated? Frustration of contract is largely addressed on a case-by-case basis. This is because the consequences of a frustrated contract are quite harsh to employees. Courts will also look to see if there is any reasonable chance the employee will be able to return to work in the foreseeable future. 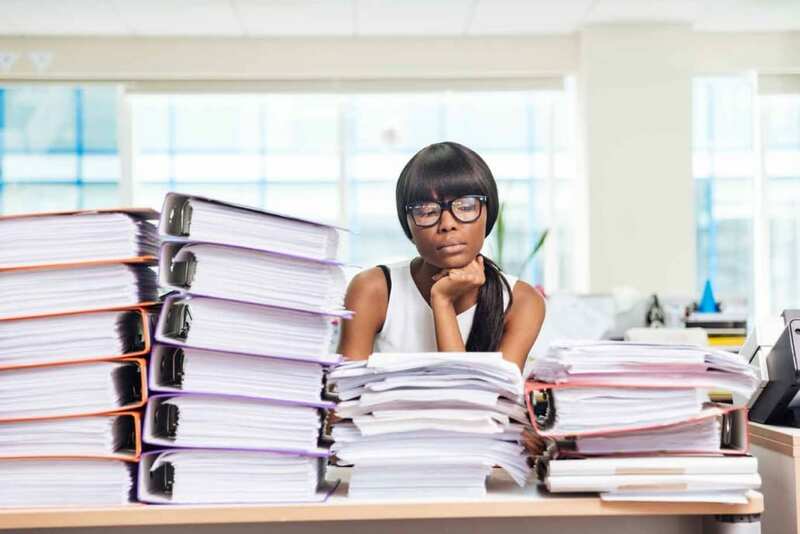 How Long Must An Employee Be Off Work For A Contract To Be Considered Frustrated? There is no set time period that an employee must be off from work for their contract to be considered frustrated. Two years is a time period often tossed around because this is usually when disability insurance is cut off. However, being cut off from disability is not the same as medical evidence that an employee will not be able to return to work. Courts will take into consideration how long an employee has been with a company as well as their position in it. Generally speaking, the more essential they are to the operations, the quicker the frustration can occur. For example, a cashier at a large supermarket could be off for five years before his contract is considered frustrated whereas an associate executive director of a shoe brand might only be off a year and a half before her contract becomes frustrated. If you have been have been off work due to unforeseen circumstances, KCY at LAW have the expertise to represent your interests. Call us at (905) 639-0999 or fill out our consultation request form here.